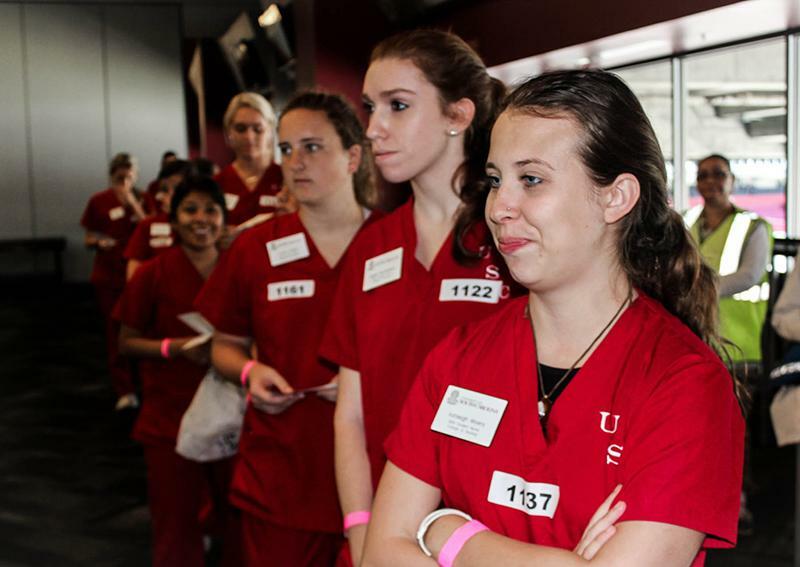 Nursing students, acting as patients, wait to be seen by nurses. Each "patient" holds a card with a list of their symptoms. The exercise was as realistic as possible with some patients wheeled in on gurneys. 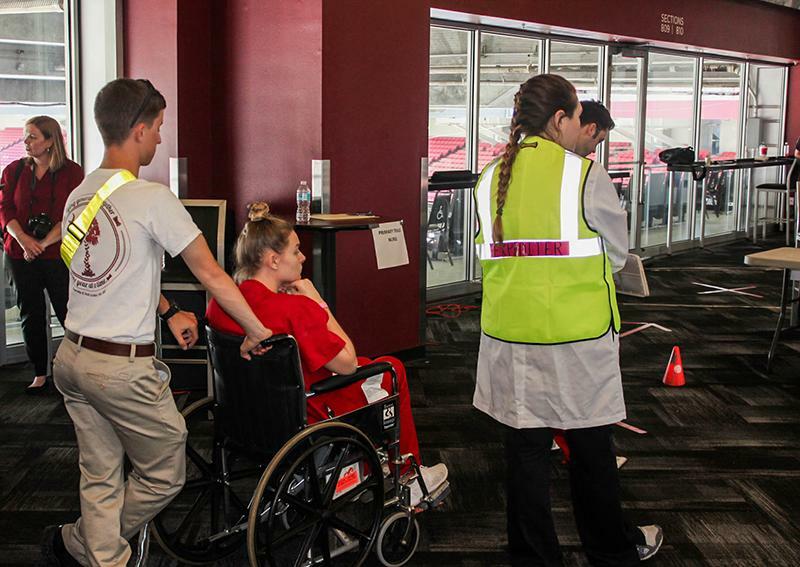 The exercise was as realistic as possible with some "patients" in wheelchairs. Joan Culley, left and Dean Jeannette Andrews, right. 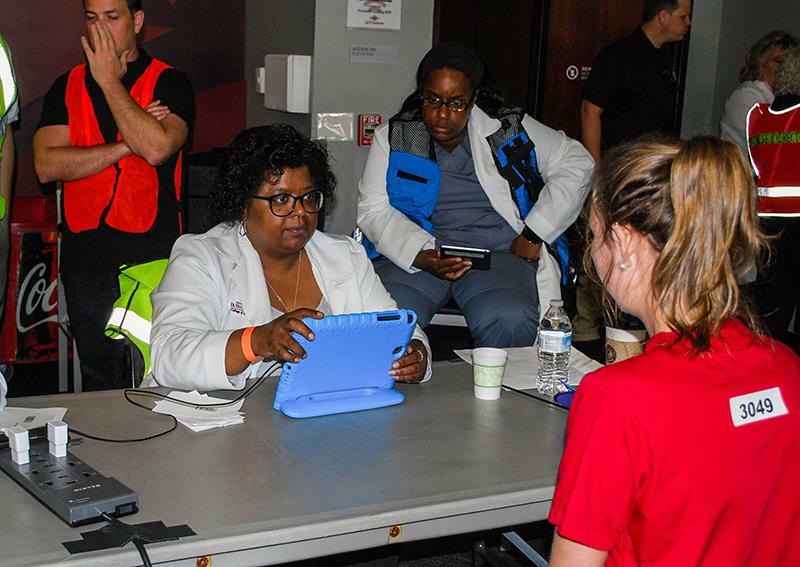 More than 550 emergency personnel and nursing faculty and students participated in the triage exercise. In 2005, two trains collided in Graniteville, South Carolina. Soon afterward, the local hospital saw a surge in patients, complaining of a variety of ailments such as headache, lightheadedness, nausea and vomiting. It was a couple of hours before hospital staff pieced together the symptoms and realized that one train was transporting chemicals, including deadly chlorine gas. Ten people died from chlorine poisoning. 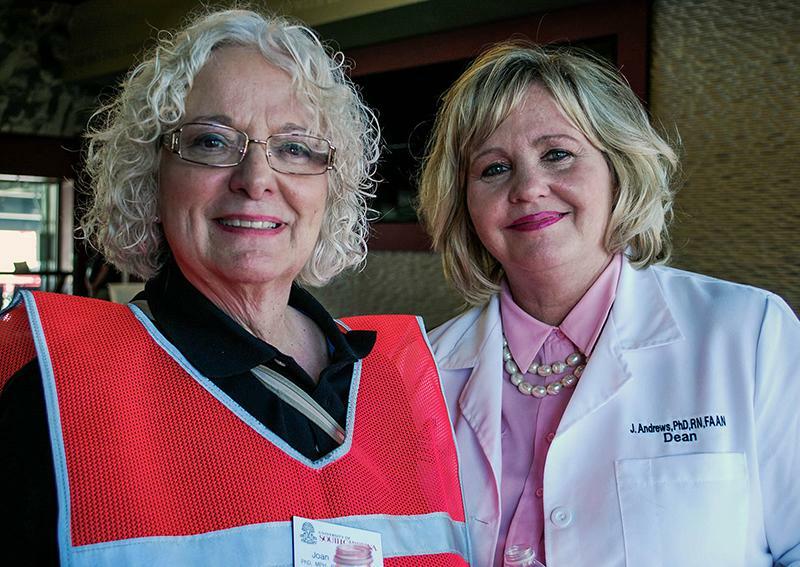 With a background in emergency preparedness, nursing researcher Joan Culley started studying the Graniteville accident to see if lives could have been saved by changing the way the patients were triaged. The College of Nursing's research showed that small community's hospital emergency departments often received a flood of victims before any information related to the cause or the source of the incident is available. This results in confusion regarding the best triage methods to use, difficulty with the efficient processing of patients and misclassifying some victims. During a chlorine spill, "there are a lot of patients who might not have signs or symptoms for up to eight hours," Culley says. 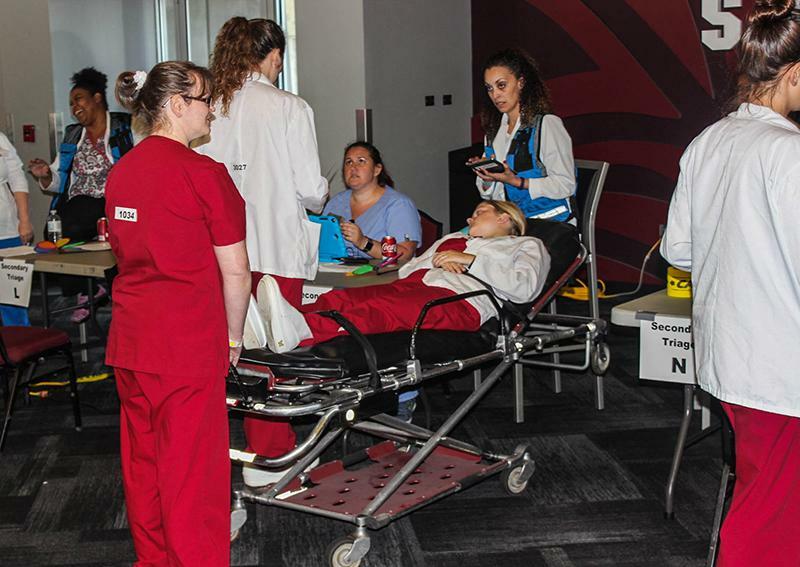 As part of a $2.5 million, 4-year grant from the National Institutes of Health and the National Library of Medicine, more than 550 emergency personnel, faculty and students from the College of Nursing participated in a drill April 4 that was a carbon copy of the Graniteville accident. 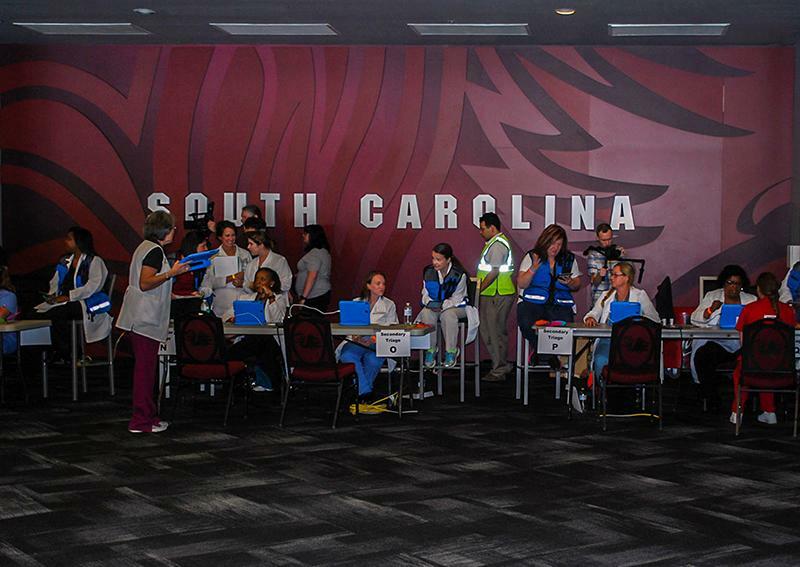 The Zone at Williams-Brice was set up to resemble a waiting room of a hospital emergency department. The nursing students were assigned to play the role of an actual Graniteville victim. Each of them held cards containing symptoms. 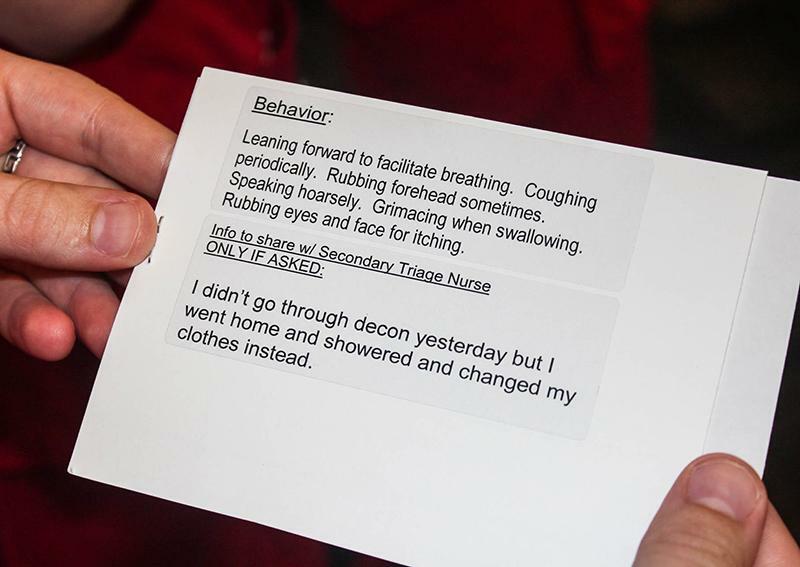 Nurses are first-line triage in deciding who is seen first, who gets the first treatment and who gets first priority. Nursing faculty members were trained to use tablet computers employing a new app that analyzes the symptoms. By using a specially designed decision algorithm, the hospital personnel could determine whether the patient was urgent, should wait or could be discharged. "We think this is the first step in helping emergency rooms to be more efficient," Culley says. Culley believes the triage app and decision algorithm could be used on other mass casualty incidents in which the cause is not immediately known such as food-borne illnesses. The entire exercise was recorded, which Culley and her team will analyze as they continue their work. In the end, community hospitals across the country will get the chance to benefit from the research. College of Nursing dean Jeannette Andrews says it's only natural that nurses would be the ones to develop such a lifesaving device. "Nurses are first-line triage in deciding who is seen first, who gets the first treatment and who gets first priority," Andrews says. Andrews believes her nursing students are gaining valuable experience even by playing a patient during the exercise. "Our students get to see the setup and infrastructure of how patients are triaged, what they feel like when they go through the system and how the process ensues," Andrews says. The disaster exercise also included help from the Charleston Fire Department and Columbia Fire Department Hazmat team, USC Division of Law Enforcement and Safety, the South Carolina Department of Health and Environmental Control, Richland County EMS, the Graniteville Community Coalition, Aiken Regional Hospital, USC Poison Control and Francis Marion University's nursing faculty and students. The Hazmat teams conducted a different simulation to test various decontamination techniques.